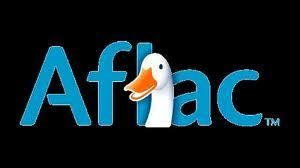 Members are eligible to receive discount rates for Aflac Insurance. Our representative is Katie Evans, 8017 York Road, Towson, Maryland 21204. She can be reached at 443-871-9396 or by e-mail at katie_evans@us.aflac.com. * Hospital/sickness – covers maternity, in or outpatient procedures, hospitalization, doctor visits; etc. Regardless of how “good” your health insurance is, it doesn’t pay for out of pocket expenses such as food, mortgage or credit card bills. Aflac is 100% portable, guaranteed renewable and the policyholder determines how they spend the cash benefits. Aflac premiums don’t increase with amount of claims submitted & rates will not increase as you get older. We aren’t health insurance but rather designed to reduce any additional costs as a result of injury or illness. Questions? Take the time to talk to Katie at 443-871-9396 or you can e-mail her at katie_evans@us.aflac.com.